Anywhere you go in Rome, you're walking on a buried, ancient world. Beneath your feet lie the remnants of the city that ruled an empire: temples and streets, villas and churches, monuments and tombs. And while we've all heard of the catacombs, there are many, many other underground sights in the city that are every bit as fascinating. If not more so. I wrote about seven of my favorite hidden, yet accessible places for an underground Rome fix for the Globe and Mail, online here. 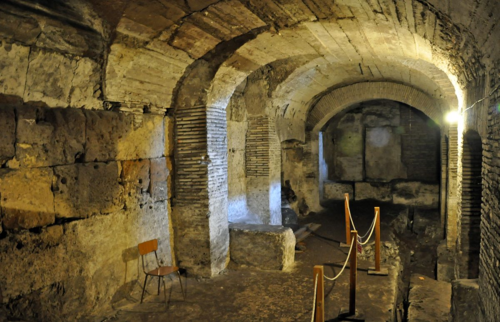 (Update,December 2014: After I wrote that piece, one of the coolest, and longest-awaited, underground sites in Rome opened: the Domus Aurea, or Nero's Golden House. 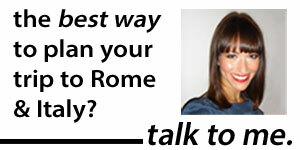 Find out more about the Domus Aurea, and how to get there, here!). The (many) archaeological sites in Rome are fantastic. For most, though, you need to use your imagination to picture what those crumbling ruins once looked like. And for those who aren’t ancient-history experts — or who aren’t particularly passionate about the whole ruins thing to begin with — that can be a little tough. Even for sites as amazing as the Colosseum and its underground.